Rich, creamy, buttery, and loaded with spices, Hot Buttered Rum is an unforgettable drink that’s perfect for any cold weather occasion. This non-alcoholic hot buttered spice drink is Hot Buttered Rum‘s tamer sister; although, truth be told, this version is pretty awesome with a splash of rum added as well. 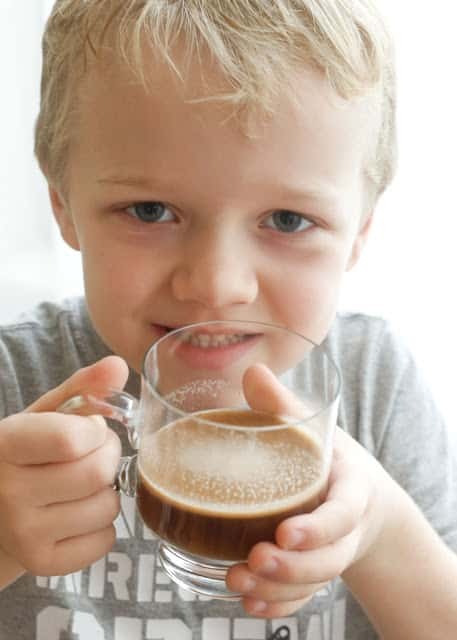 The first time I made this non-alcoholic version of our Hot Buttered Rum, my kids went crazy over their warm spiced drinks. They’ve declared this treat “better than hot tea, and hot cocoa, and probably better than coffee” (not that they would really know about that one). 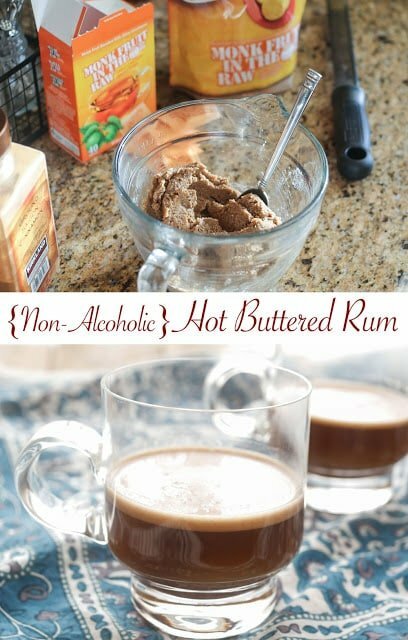 Hot Buttered “Rum” is one of my favorite hot drinks to make. Once you’ve stirred the buttered spice mixture together, you can keep the mix in the refrigerator and stir a cup together anytime you like. Want a fun tip? The spice mixture is awesome in coffee and hot tea as well as with hot water. I especially love that this lightened up version with Monk Fruit In The Raw. With half the sugar, it has all the flavor and sweetness of the original. Whatever the occasion, this is a terrific recipe to have up your sleeve whether it’s for guests at a dinner party or a casual night at home. To make each drink, scoop 1 1/2 - 2 tablespoons of the buttered spice mixture into a small mug. Pour 1/4 cup of boiling hot water into the cup and stir or whisk to dissolve completely. Add 1 - 2 tablespoons of half and half or cream, and stir once more. Taste, add more water or cream, as desired. Enjoy! The buttered spice mixture will keep well in an airtight container in the refrigerator for at least 2 weeks. It can also be frozen for several months. If you freeze the mixture in an ice cube tray, you can transfer the frozen cubes to a zip-close freezer bag and simply remove an ice cube for each serving when you are ready to mix the drinks. Are you familiar with monk fruit extract? 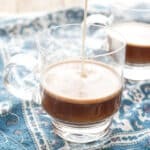 I'd never even heard of it myself until I partnered with In The Raw to play with all their different sweeteners this year and tell you about them. I've had a great time learning about all of the sweeteners this year. Monk Fruit In The Raw® is a zero-calorie sweetener made from monk fruit, a fruit native to Asia. The monk fruit extract, which is about 300 times sweeter than cane sugar, is blended with dextrose (glucose produced by plants and used as a bulking agent) so that it can be measured, poured, and used as a substitute for sugar or other caloric sweeteners. Disclosure: I’ve partnered with In The Raw to share their latest products with you this year. 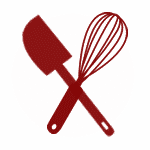 Thank you for supporting the brands that make Barefeet In The Kitchen possible. As always, all thoughts are my own. Is the monk fruit essential in the recipe? You can substitute an additional cup of brown sugar for the alternative sweetener. Enjoy!